Like every region of Spain, Valencia is proud of its gastronomy. This region is famous for its old agricultural tradition and you’ll see numerous vegetable gardens growing aubergines, artichokes, beans and peas. 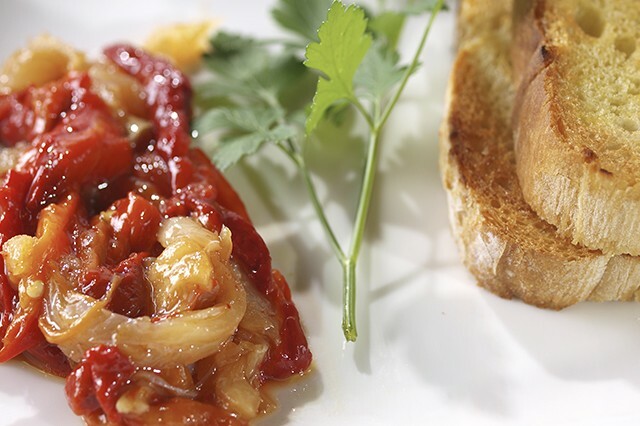 Fish is also common given the region’s coastal connections, especially salted fish like tuna, roe and dried cod, which are used to create such dishes as the traditional esgarraet – red peppers and aubergine, baked with dried codfish and seasoned with olive oil. Arab influence saw saffron and rice come to the region and these are very much part of the local dishes, perhaps most notably in the popular paella. The traditional Valencian paella includes both seafood and chicken. The local tipple is Horchata de Chufa, a tasty tiger-nut milk, spiced with cinnamon or lemon. And, of course, there are fine wines. 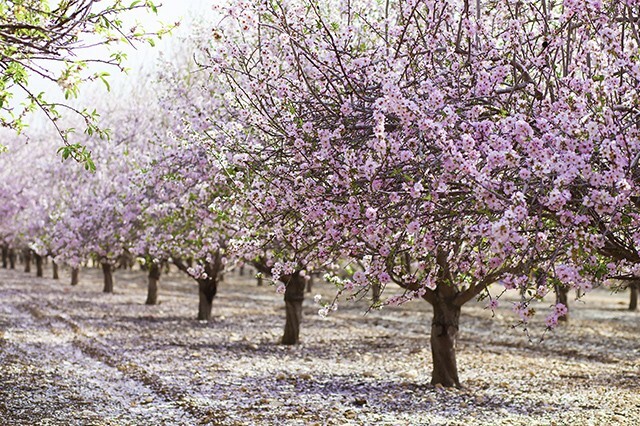 Spain is the world’s largest producer of almonds, and during February the Valencian landscape is coated in a touch of magic – the almond trees are elegantly coated in a candy floss coloured blossom that is simply beautiful against the clear blue skies. There’s nothing more to say here…the picture says it all! Just south of Valencia’s architectural splendour in the city, the mighty Marina Alta guard citrus valleys, vineyards and steep almond terraces. The extensive network of ancient Arab trails and mule tracks are awash with daisies and spectacular orchids perfume the hillsides. There are, in fact, more than 200 varieties of wild flowers, butterflies and rare birds of prey that can be seen in Valencia, including dandelions and poppies and choughs, peregrine falcons, Bonellis and short-toed eagles. With 300 days of sunshine a year and temperatures that reach up to 25C in the hottest month, on a trip to Valencia you’re probably not going to need to pack a jumper. Being situated on the Med, the sea temperatures are pleasant too if you fancy a dip. You’ll almost feel as if you’ve stepped on to another planet or that you’ve gone forward a good few years when you walk around the City of Arts and Sciences. 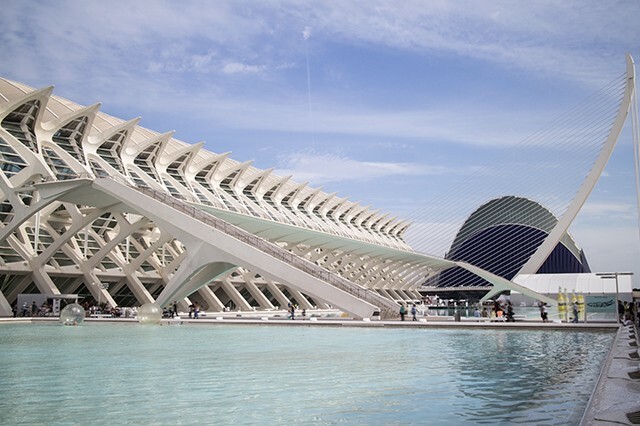 The Valencian architect Santiago Calatrava designed a number of futuristic iconic buildings on the complex that certainly wow you. There’s a huge greenhouse-type garden, an opera house and a digital 3D cinema with a 900m concave screen that almost envelops spectators, to name a few. Definitely worth a visit when you’re in the city. 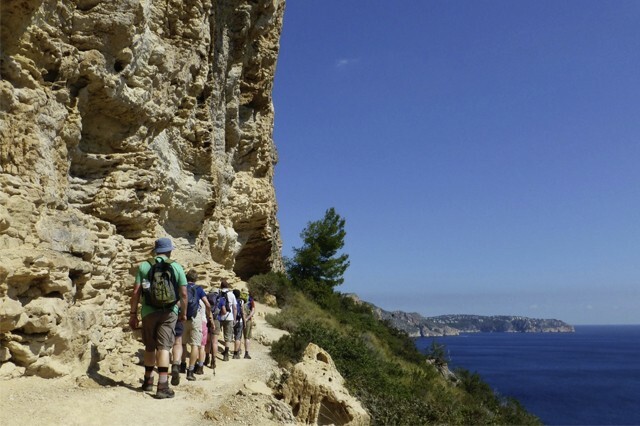 Walking the circular route around the Bernia Ridge not only takes you through a photogenic natural cave but up to some of the most jaw-dropping coastal views. At 4.5km long and 1,000m high, the ridge is continuously exposed and there are some perfect little picnic stops along the way including one at a C16 Moorish fortress. Look out for skittish lizards and listen to the background chirp of the resident cicadas. 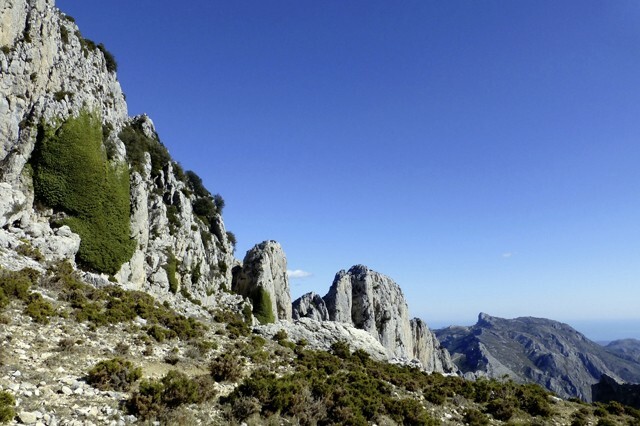 Valencia may be better known for its cosmopolitan vibe and architectural prowess, but the majestic mountains of the Marina Alta offer a very different and much more nature-inspired experience that is perfect for discovering on foot. Strolling along Arab trails, visit traditional white villages, look out for deserted farmsteads and explore illicit storage coves hidden away on the coast. Heading up to the Caballo Verde Ridge, take a moment to conjure up the famous battle, the last on mainland Spain, between the Moors and the Christians that took place here. Walk through orange groves and pick wild blackcurrants in the mountains or enjoy a superb seaside trail beneath the soaring cliffs, walking below tumbling waterfalls. Visit Valencia with Headwater on our guided Vistas of Valencia Walk, from 11 February 2017 to 5 May 2018.